Direct - Digital Manufacture [DDM] (aka rapid manufacturing) Direct Digital Manufacturing is an extension of Rapid Prototyping that produces greater quantities of parts. DDM can build your projects in a fraction of the time and cost associated with traditional manufacturing processes. 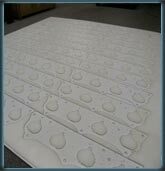 CNC manufacturing is a cost effective method for manufacturing also with a fast turn around time. These machine can nest drawnings together to achieve maximum output of product from the material used. We offers a wide range of CNC material to choose from to provide our clients with the right product for your application. 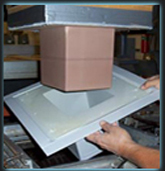 Vacume Forming is a low cost alternative to sheet metal or injection molding for producing plastic parts. 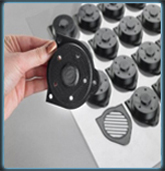 Shipping Trays, Covers and Enclosures of virtually any shape are good examples of Vacuum Formed products.